If it looks like I’m about to KonMari my makeup well…you’re only partly correct. If you’re anything like me, you probably have a difficult time keeping up with your beauty supplies. As someone with a decent-sized makeup collection and no space for a dream vanity, organization is a big priority and an even bigger challenge. I have a few travel makeup bags, one that’s a part of my luggage and the others are drugstore finds. The problem is, I’ve been storing my makeup in these travel bags so when I actually travel I’m playing musical chairs with my makeup trying to bring a few essentials. The end result is a tornado of makeup products under my sink that make beating my face a difficult task because it takes longer than I care to admit to get all of my products together in the first place. Personally, I like to have everything out in front of me so I know what I’m working with and can easily make decisions on my look for the day. As I searched for makeup storage solutions I kept getting acrylic drawers, vanities and elaborate contraptions that keep your lipsticks and mascaras apart. It’s nearly impossible to find some good DIY or purchase solutions that don’t involve spending your paycheck at the Container Store or crafting makeshift dresser drawers from old cardboard boxes. But then, I saw someone on Pinterest with an art bin-like portable box that she decorated and turned into a makeup kit, very similar to the heavy-duty chests that you see professional makeup artists use. And then a lightbulb went off in my head. I could use an Art Bin! If you’re not already familiar with arts and crafts you may not have seen one before. 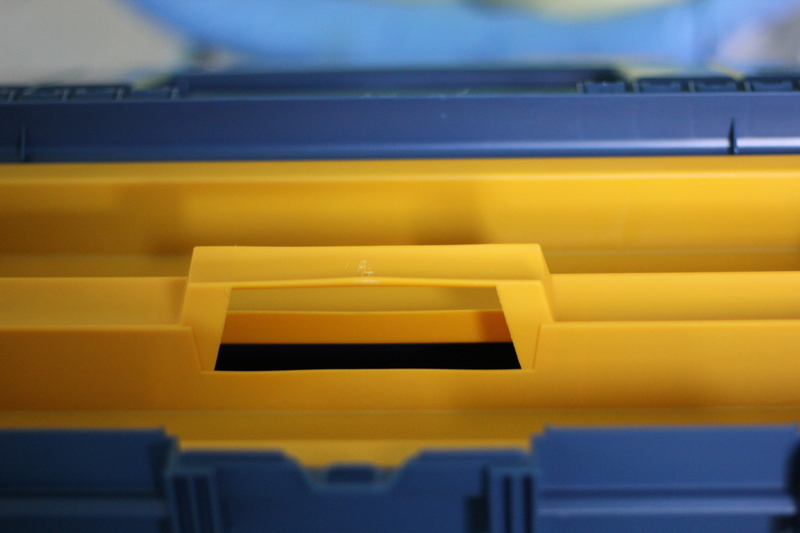 Art bins are portable chests that artists and craftspeople use to transport and store their various art supplies. 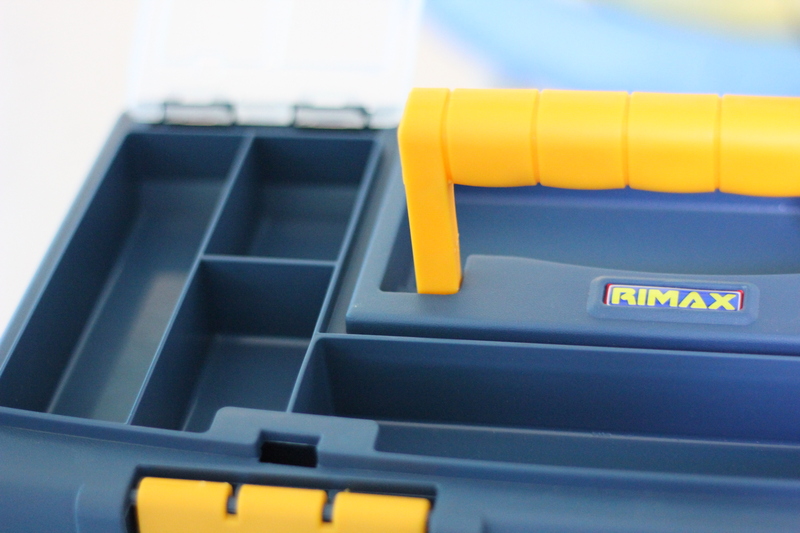 They typically come with drawers, mini compartments, trays and other dividers all in one case with a handle. You can choose from an assortment of colors, materials and styles. 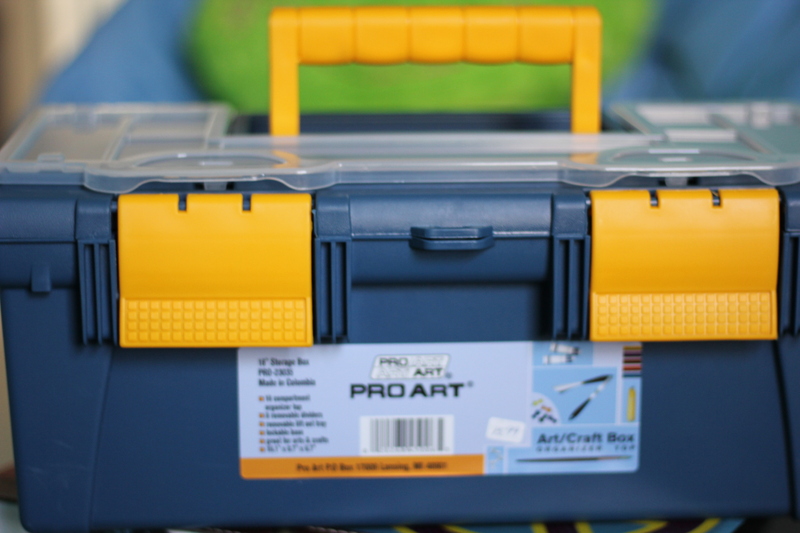 I purchased this ProArt bin because it had nice mini compartments and a large open area at the bottom. Here’s some tips on how to convert an arts and crafts bin into your next all-in-one makeup storage solution! KonMari that makeup! The first thing you want to do is lay out all of your makeup products so you truly know what you’re dealing with and toss anything that’s old or doesn’t work for you anymore. It will probably shock you. Categorize that stash. The next step is to assemble everything into separate categories. I did foundations, primers, brows, eyeshadows, concealers, color correctors, mascara, blush, lashes, sponges, bronzers, highlighters, pencils, eyeliners, powders, lipsticks, setting sprays, brushes, and tools. Start Organizing. 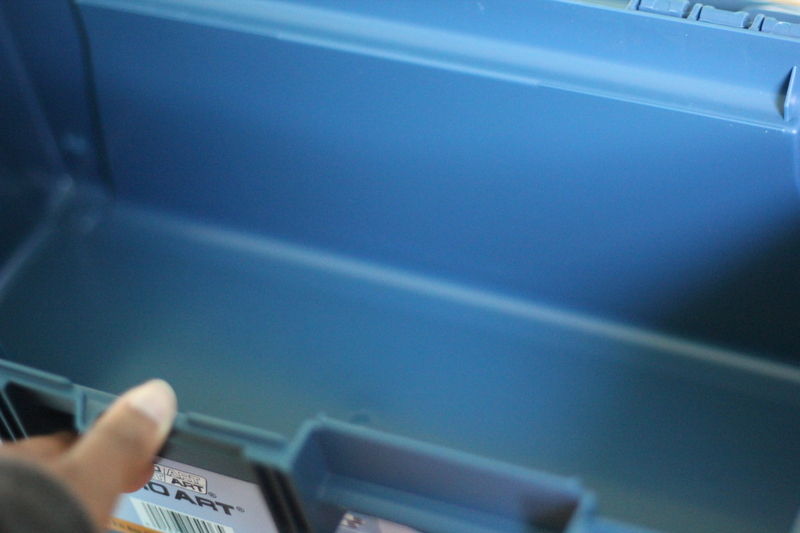 From here, you can see which products fit into the compartments of your art bin and give them a home. Be sure to keep everything together as much as possible, so it’s easy to find when you’re ready to apply. In the main hull, I keep all the bigs stuff, like foundation, eyeshadow, blush, bronzer and powder. Everything is neat, orderly and easy to grab and put back. In the tray, I keep concealers, color correcters,, highlighters, and eyeshadow, along with a few essential sponges (I took this photo prior to cleaning them – no judgment) that are easy to grab, especially when I’m just doing a quick look. Last but not least, at the top my pencils, eyeliners, mascara, and shadows/brow colors fit PERFECTLY. There you have it, all my makeup in one place. If you’re wondering, I keep all my brushes in the mason jar (pictured in the first few photos) and my lipsticks and lashes in a handy makeup organizer I got last year from Adajowned. Now the cabinet under my sink doesn’t look like a train wreck. If you try the art bin method or have another easy way to keep makeup organized and in one place, share it in the comments below! I am such a make up minimalist, I could barely take up the top bin. But this gives me ideas for my nail care supplies. They could use some organization. Thanks for the suggestion! You’re welcome! Nail care is something I want to get into. Hope this helps you find an amazing solution!